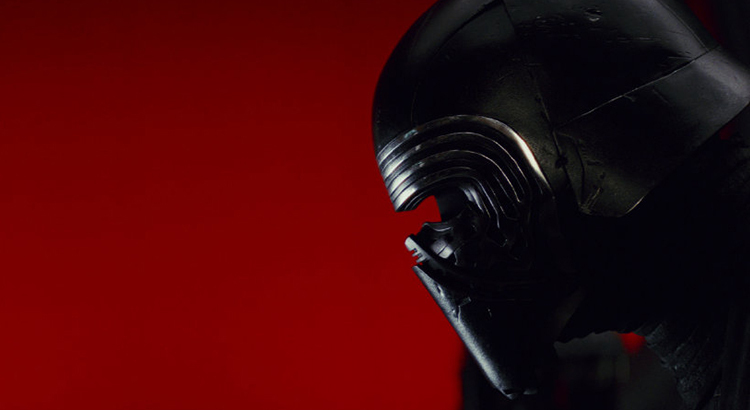 Among the roles in Episode VII, Kylo Ren is absolutely one of the most impressive characters. 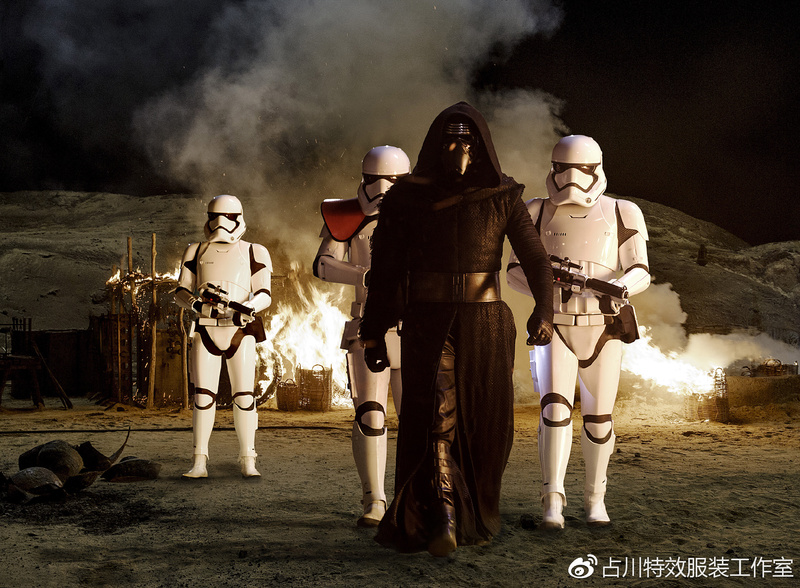 As the grandson of Darth Vader, the son of Princess Leia and Han Soro, and the Jedi trainee under Luke Skywalker, Kylo Ren undoubtedly catches many eyes since his debut. This character is full of irritability, recklessness and contradiction. 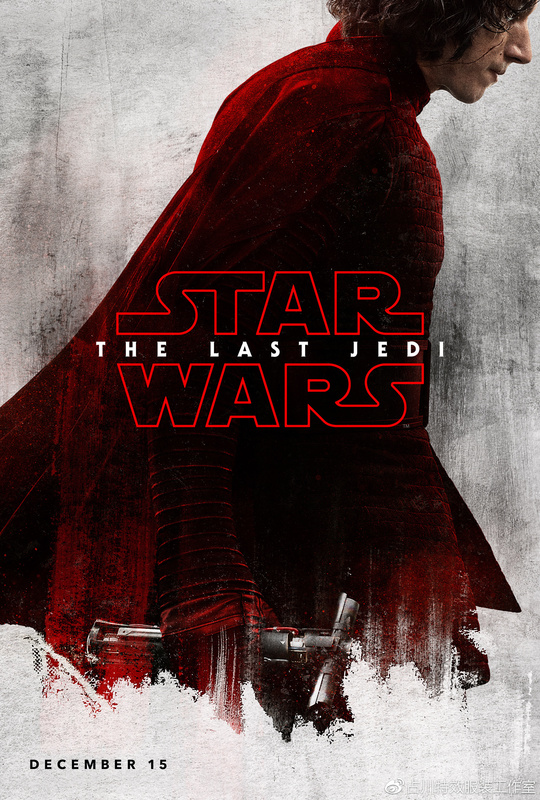 He is neither a Sith nor a Jedi, it’s hard to simply define him as a bad guy. 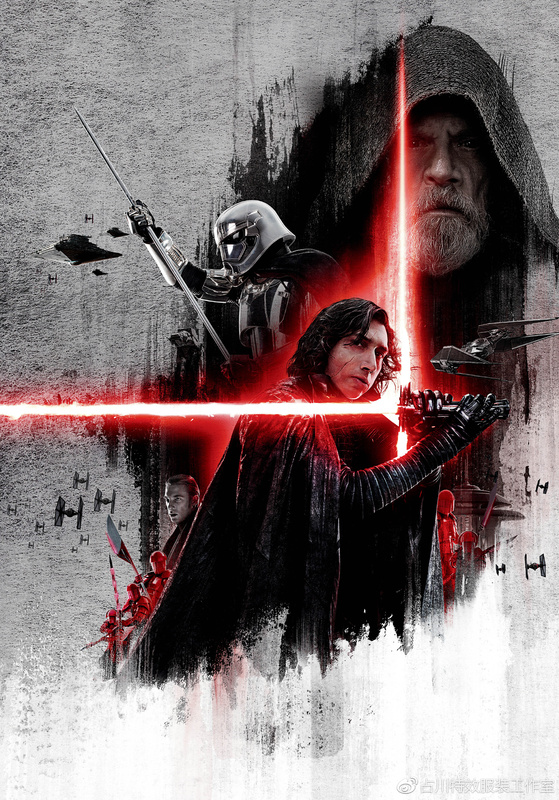 Though he killed his father who made every effort to redeem him, this didn’t make him fall into the dark side completely, but add to his contradictions and struggles. 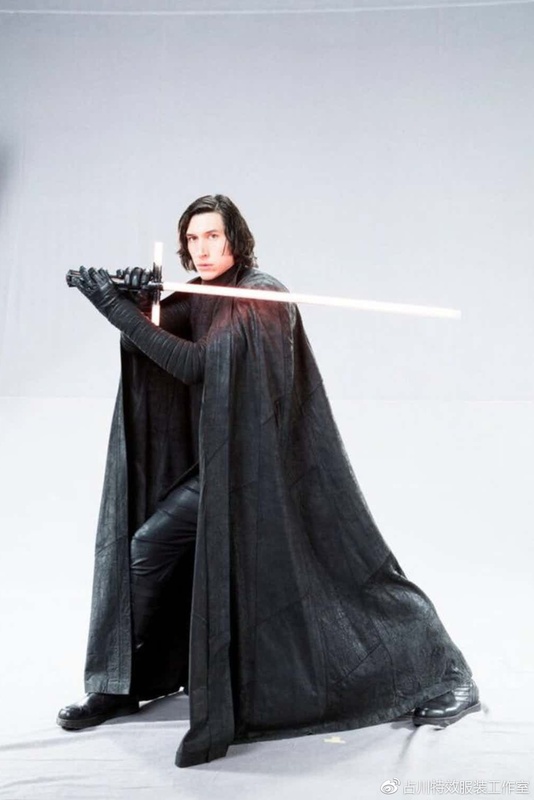 During the process of making Kylo Ren’s costume in Star Wars: The Last Jedi, we combined our speculation of the plot with the analysis of costume designs, and made the costume from the angle of the designer. 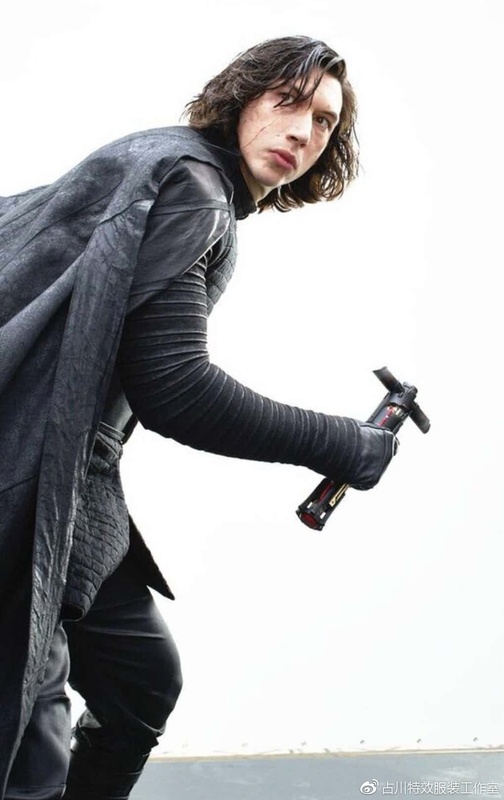 As we can tell from the trailers, Kylo Ren’s outfit is obviously different from it is in Episode VII. 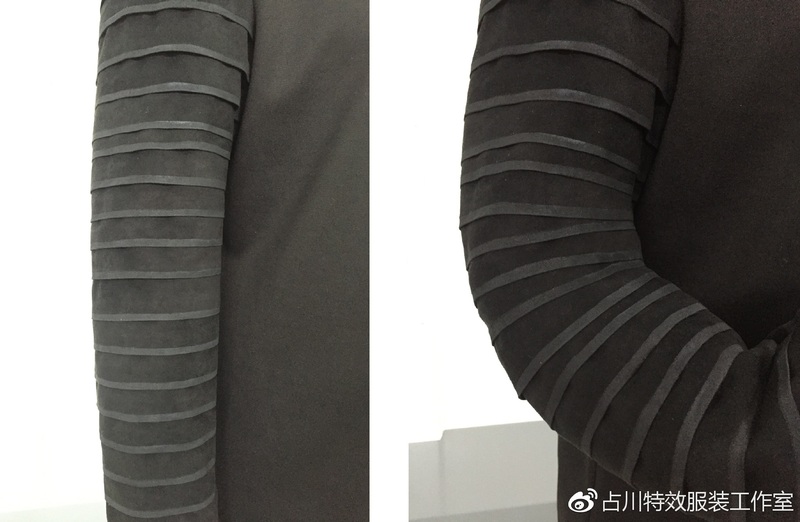 Except the sleeves , there’re changes in the main body and the details. 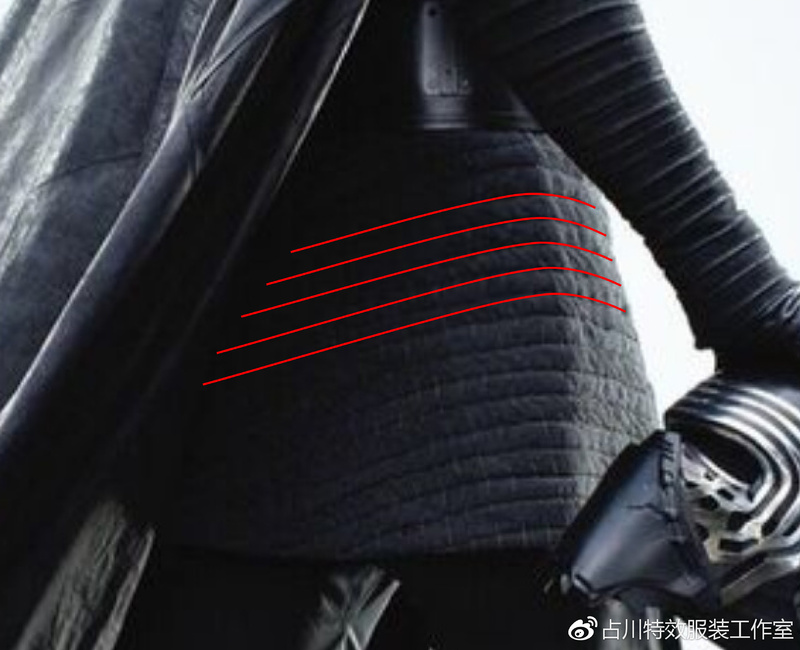 Kylo Ren’s cape, which is joked as being fixed by the Force, is undoubtedly exquisitely designed. 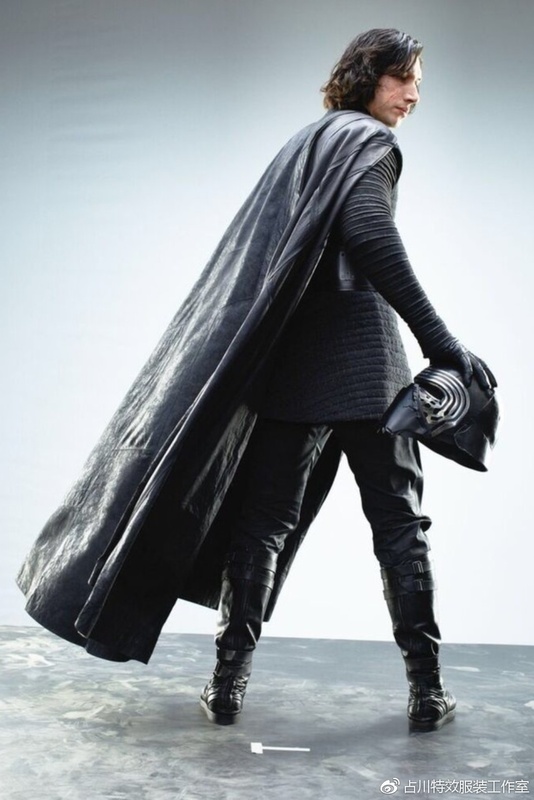 The cape seems to be fastened to nowhere, and it’s so big that even dangle to the ground when he stands. 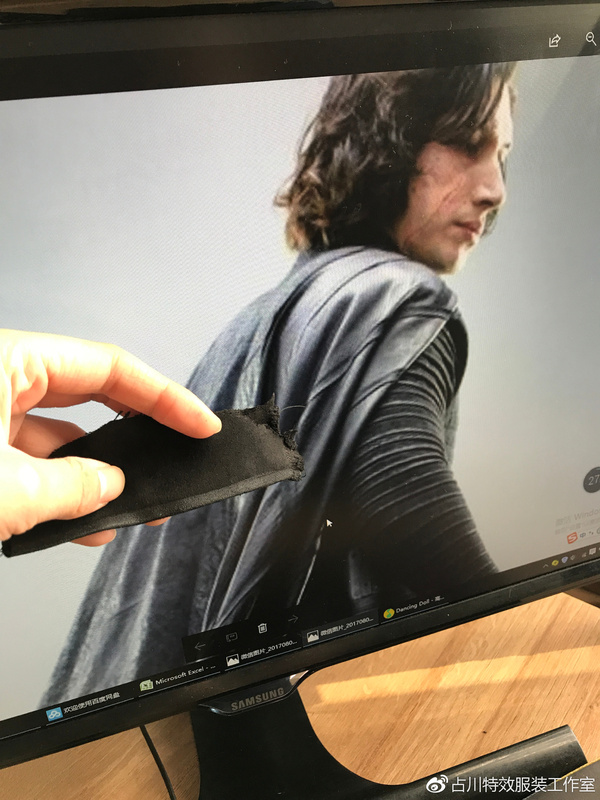 If we take a closer look at the magnified image, we can vaguely see the dividing line and the dark seal on the surface of the cape. 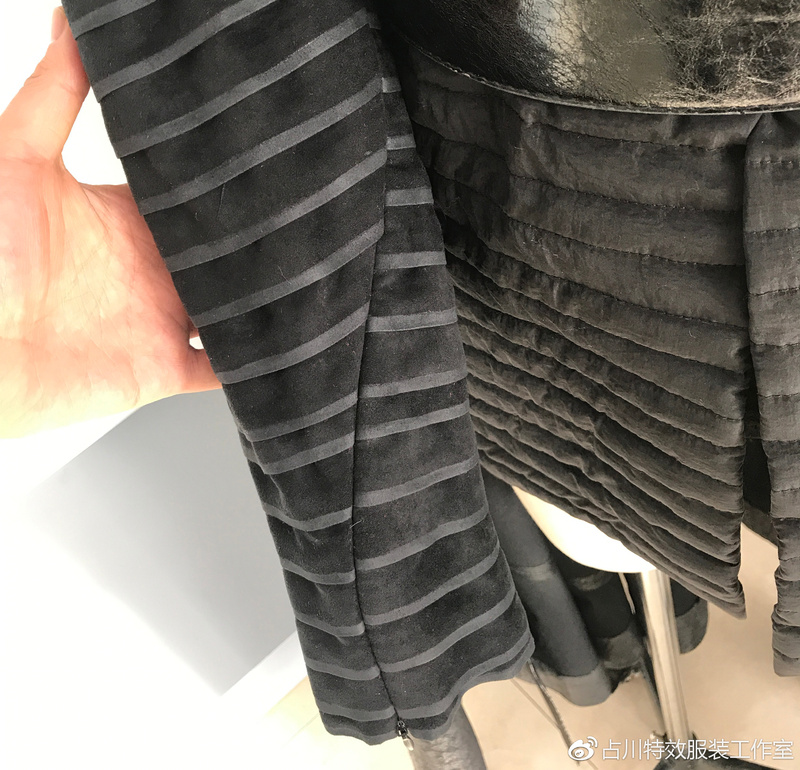 What’s more, there’s no regular collar on the costume, so how to fasten it is another point we have to take into consideration during the process. 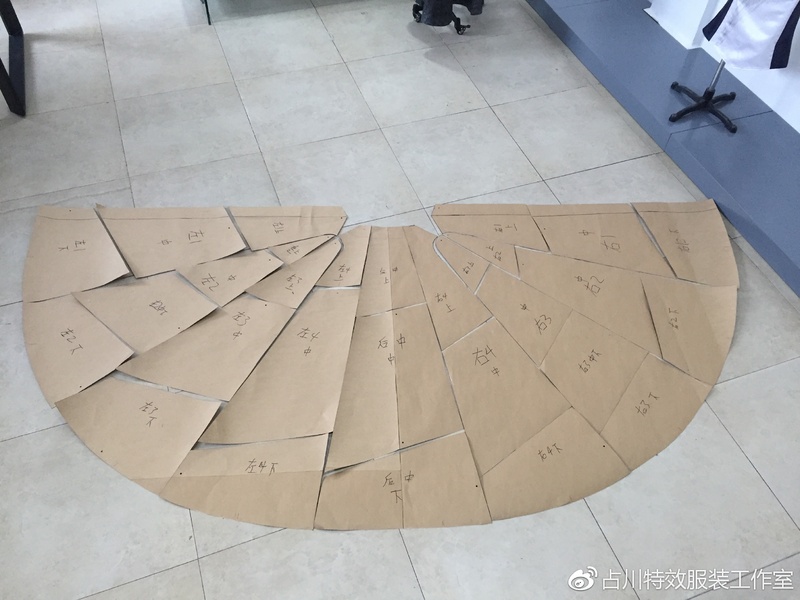 During the process, we set the profile of the cape to 180 degrees, and divided it into 29 pieces. 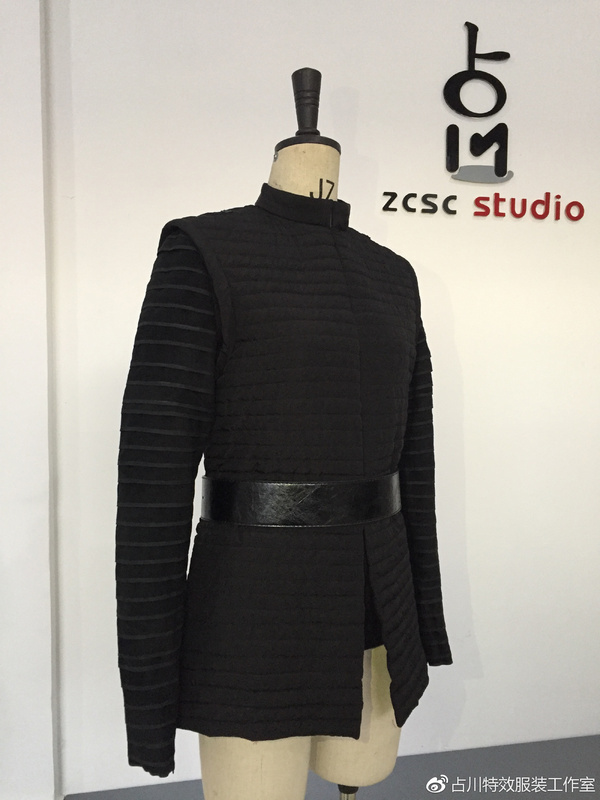 In addition to most of the decorative division line, we used a special stereoscopic way of cutting to create a three-dimensional space in order to fix the cape on the shoulder naturally. 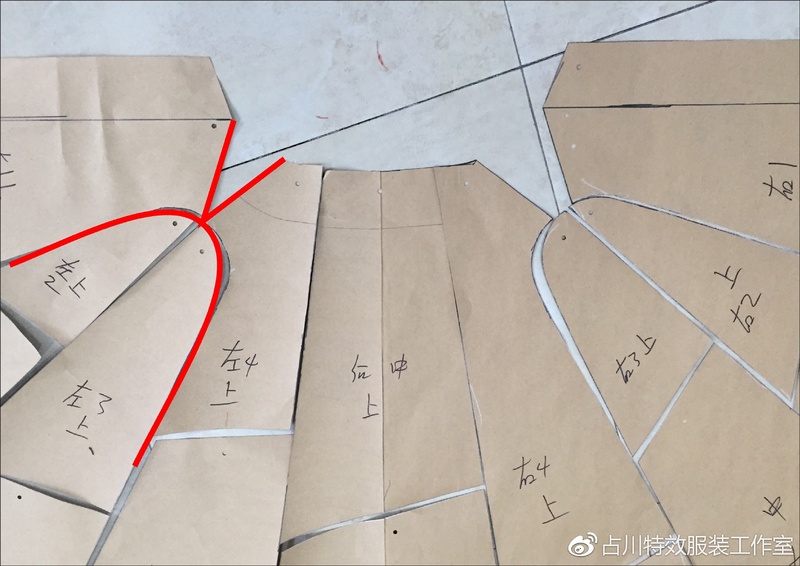 As for the collar, after several discussions, we decided to shape it as “form collar ”, that means extending the clothing upside to form a stand-collar, and the collar extend from center back to both sides of the front in a decreasing way. This design not only ensures artistic appearance, but also solves the problem of fixing the cape. 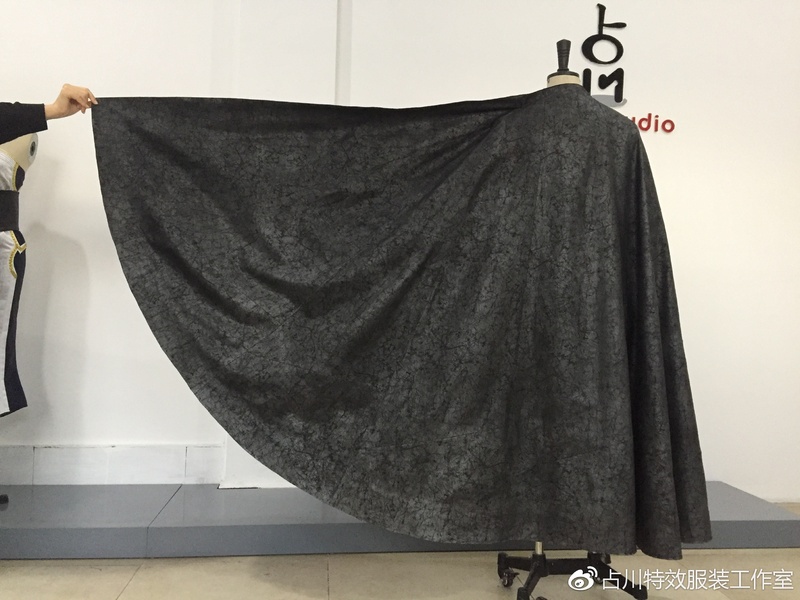 As for the fabric, we chose the silver-plating washable crackle brocade spandex which has the most similar texture to the original. After coloring the surface, it shows a look of silver shines under the black surface. 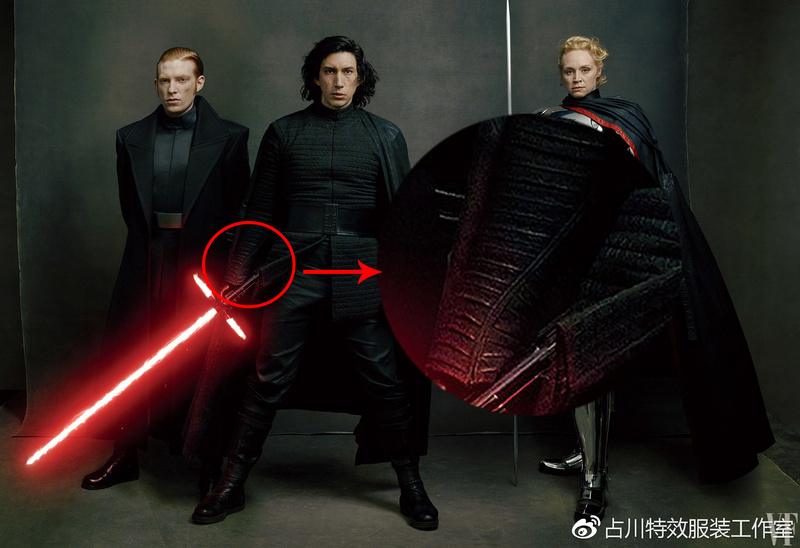 At the first glace, the black waistcoat Kylo Ren wears in this episode is the same as that in the last episode, but you will find it’s completely different if you go into it seriously. We can find that the fabric of the waistcoat is light for that it bends as the wind blow. 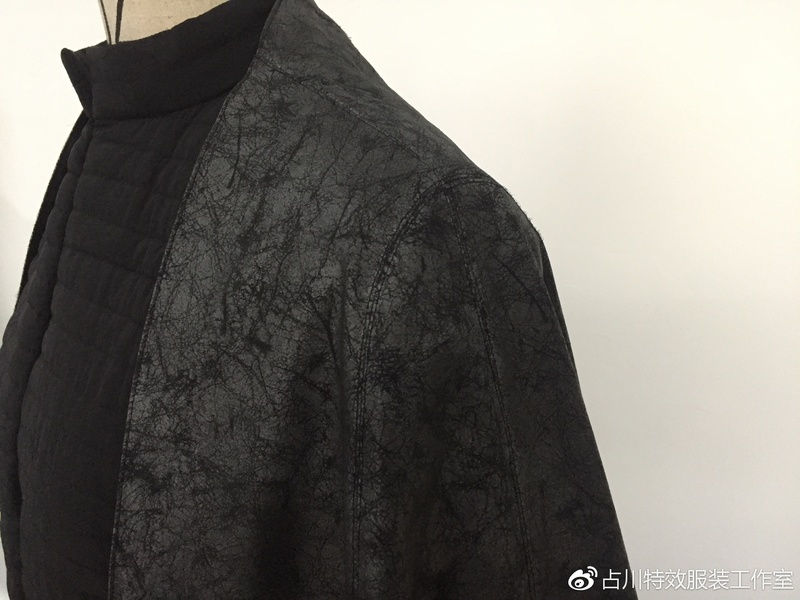 That is to say, the material needs to be thin and light, and crinkled. 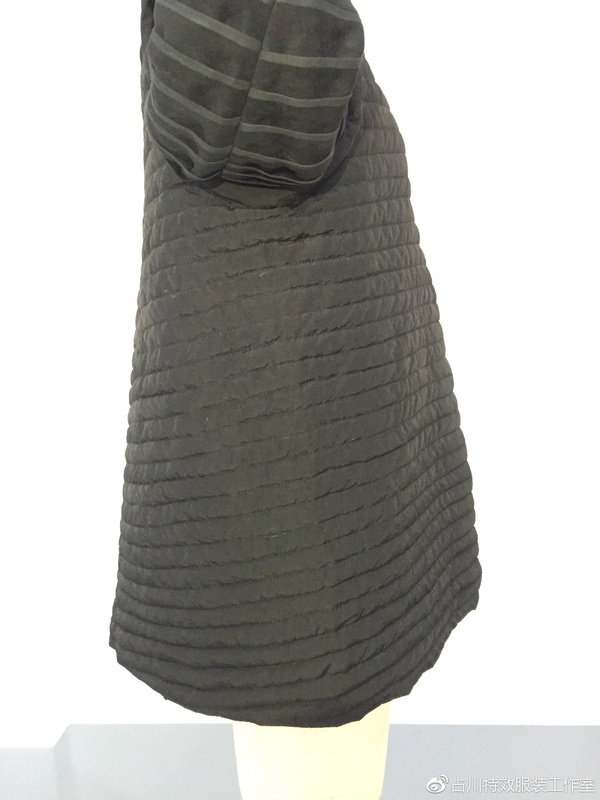 70 D nylon wrinkle fabric, waterproof, thin and light in texture, is undoubtedly the best choice for the waistcoat. 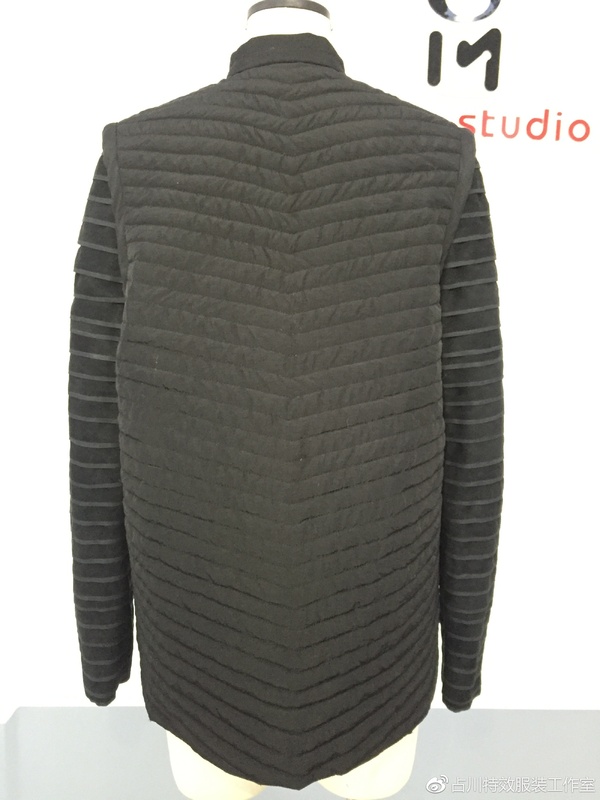 There’s no seam on both sides, nor on the back, so we use a one-piece version, which retains only the shoulder suture. 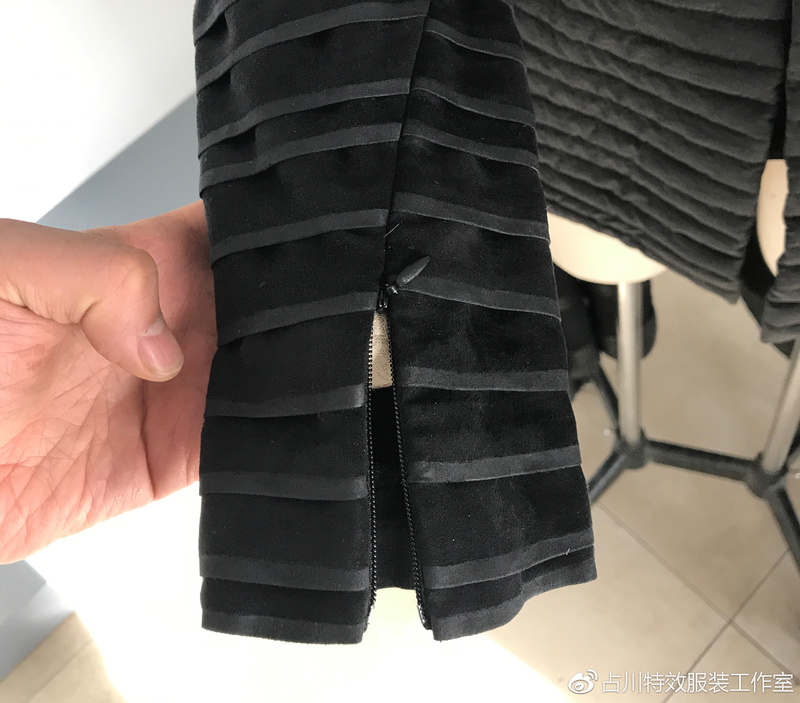 The folds on the surface is achieved not only by the characteristics of the fabric itself, but by the way of sewing, in this costume that is sewing in an interactive reverse direction. What’s more, in the construction process, the trend of stitches is easy to be ignored. 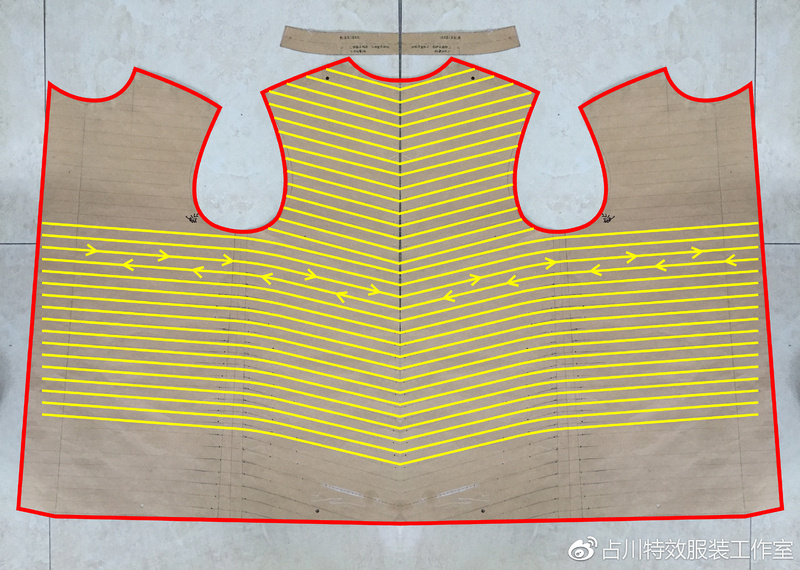 In this costume, the stitches are not in regular horizontal lines, instead they extend horizontally from the front to the lower side and start to curve downward in the waist and overlap with the shape of “V” in the back. This design makes it looks no longer stereotypes, and from whichever angle, you can see the sleek lines. 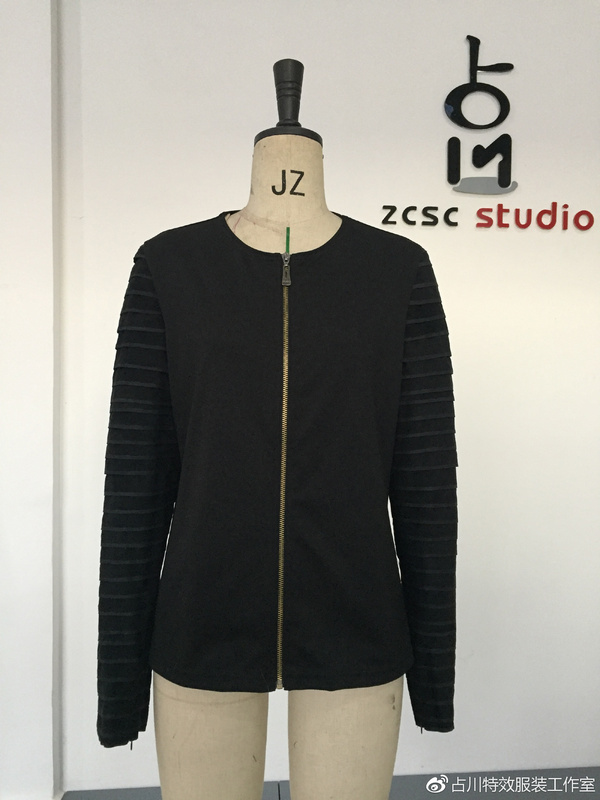 The base garment is made separately, it’s the result of that we take into consideration of both the accuracy and the movability. The choice of two-piece structure and four-sided stretch sub-fabric makes the wearer easy to move. When it comes to the sleeves of the base garment, we select the suede fabric with fluff on the surface. Cut it into strips, fold and iron them, and brush the polish on the edge of each strips. Base on the stretchable fabric, the strips fixed on the sleeves will bend with the movements of arms. To be consistent with the original one, we form the inside seam of the sleeves into the shape of letter S, and in order to facilitate putting on and off, we also add an invisible zipper on each sleeve. 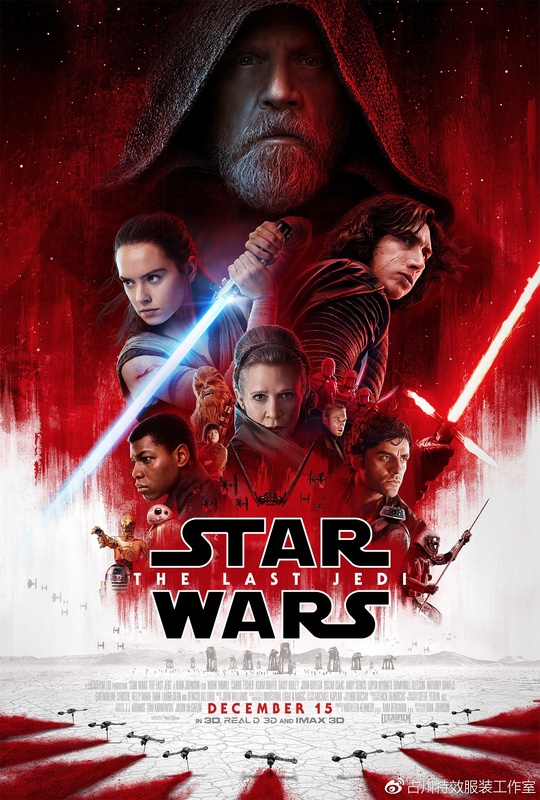 Those resplendent and gorgeous costume designs in movies always catch more eyes, but the details of those succinct costumes are apt to be ignored. 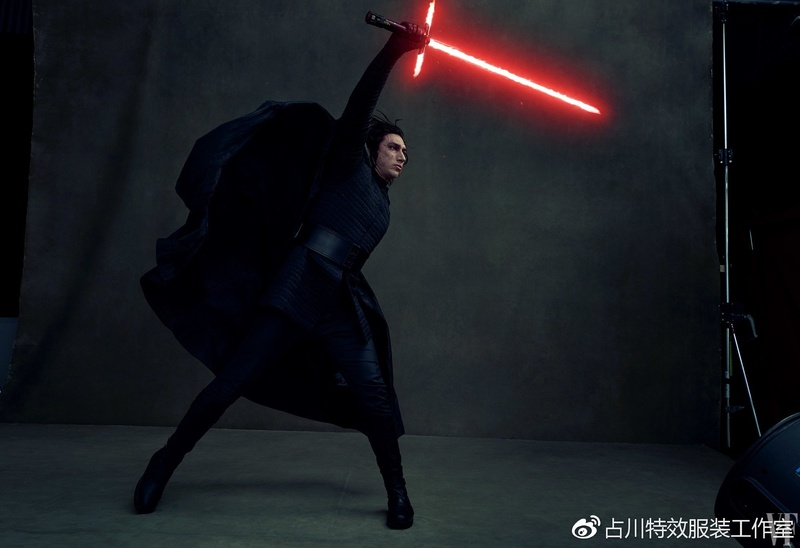 But to be frank, usually the more simple the costume seems, the more sophisticated the design is, and worthy of more careful deliberation.